Upon arrival, Joseph S. was admitted into Cortlandt Healthcare with a femoral fracture to his left leg, he had a history of falling, muscle weakness, and difficulty walking. 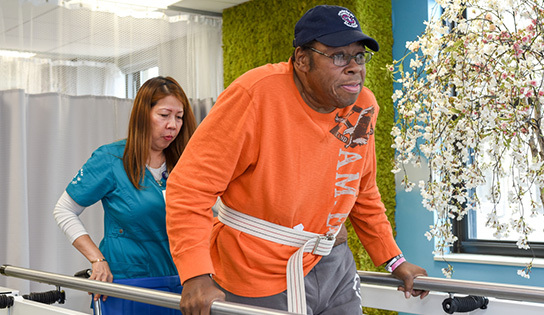 Joseph S. had baseline strength of only ambulating 150 feet with a contact assist and had an antalgic gait pattern. Over the course of the next two and a half months he was able to improve his gait and ambulate up to 250 feet with a stand by assist! Throughout Joseph’s stay, therapy noted that he demonstrated excellent rehabilitation potential and had a strong family base and support, which he could use as motivation to participate in his therapy.